I adore Meghan Markle for so many reasons. I love her dress sense, her informality, her obvious affection for the Queen and her father-in-law, and her energy. Some of the Royal ‘rules’ she has broken needed to be broken — no stockings, public displays of affection, hugging members of the public — and I applaud her for that. Not to mention that she is bringing more “colour” to the royal family, and I don’t just mean dark nail polish. Don’t you think Prince Harry and Meghan Markle are the most “normal” Royals? I do love William and Kate but let’s face it, as future King and Queen they are going to be scrutinised quite heavily and have stiffer rules to undertake than Harry and Meghan. So why does Meghan get such a hard time? Is is because she’s American? Is it because of her mixed heritage? Her sister seems very outspoken about her. The Duchess is about to have a baby and doesn’t need the stress! The Internet is full of haters writing mean comments that drown out any positive words towards the Royal. The soon-to-be first time Mum can’t even cradle her tummy without the public being snarky. It’s coming from her own family too! One of the biggest bullies to Meghan is her half-sister, Samantha. This same half-sister changed her surname from Grant to Markle after the royal engagement was announced and accuses Meghan of social climbing. Hypocritical much Samantha? And while people taking potshots at the royals isn’t new… what makes it so heartbreaking is that much of it is spurred on by her own family. Sister Samantha is 14 years older than Meghan and didn’t care very much about her until Meghan became a Royal. It looks like the fame and money are too much for Samantha to resist. She insists that she’s going to continue to chastise her publicly by publishing a book. 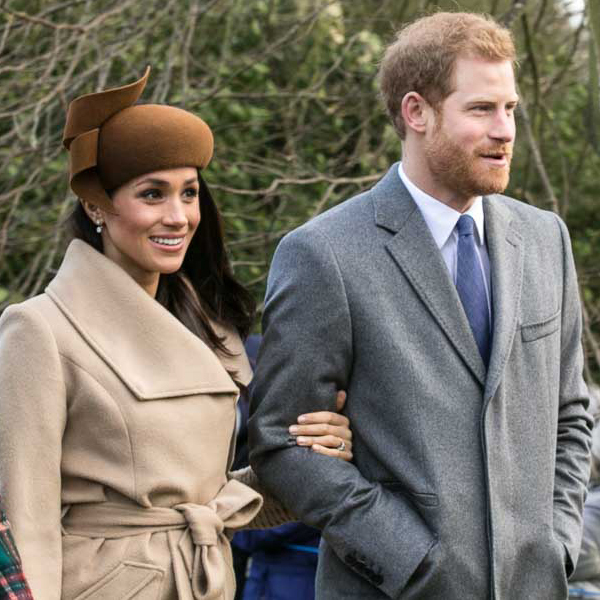 Emily Andrews reveals that Prince Harry is fiercely protective of Meghan Markle because his mother, Princess Diana, was hounded by the paparazzi throughout her life. They have moved out of Kensington Palace and into Frogmore Cottage in Windsor, in time for the arrival of their first child in the Spring. And… they’ve just announced thatthey’re keeping the birth private. As they should. Way before they were even married, it’s been reported that Harry hated the negativity towards her. When Prince Charles and Princess Diana were going through a lot, Harry was unable to protect his mother. The horrific accident that killed Diana was a direct result of the paparazzi. Prince Harry wants to protect his wife in a way that he couldn’t protect his mother, and he works hard to keep Meghan safe from it all. Who else is defending Meghan? fortunately, Meghan also has her tight bond with her mother, Doria Ragland, to rely on as well. What do you think about all the negativity surrounding the Duchess? It’s heartbreaking to me that whilst she’s supposed to be embracing one of the happiest times in her life, she has to deal with so much hatred. I’d love to hear your thoughts on this… join the conversation on Facebook, Twitter, and Instagram. Win swimwear to make you feel fab! Next Post Nipsey Hussle - Rest In Eternal Peace Brother. BUT...when will the violence stop!